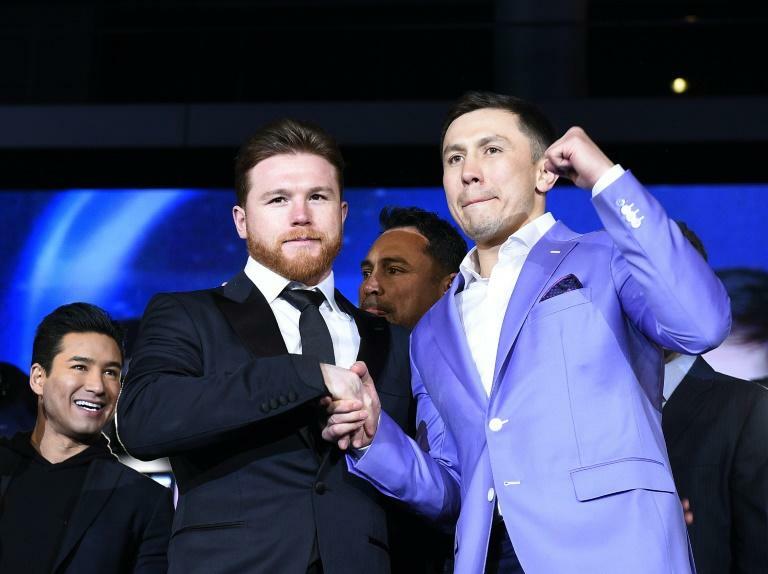 World middleweight boxing king Gennady Golovkin accused rival Saul "Canelo" Alvarez of doping on Tuesday, rubbishing the Mexican fighter's claims that he had failed a recent drugs test due to contaminated meat. In explosive comments to reporters at his secluded mountain training camp in Big Bear, east of Los Angeles, Golovkin said Alvarez had benefited from preferential treatment throughout his career by authorities in Nevada, where the two men will fight in a much anticipated rematch on May 5. The hard-hitting Kazakh was widely believed to have won last September's first battle against Alvarez, when a judging controversy dominated the aftermath of the bout. While one judge scored the fight for Golovkin and another had it even, there was astonishment at the card of a judge who marked it 118-110 in favour of Alvarez. Alvarez earlier this month was revealed to have tested positive for clenbuterol, which his promoters blamed on consumption of drug-tainted meat in his native Mexico. 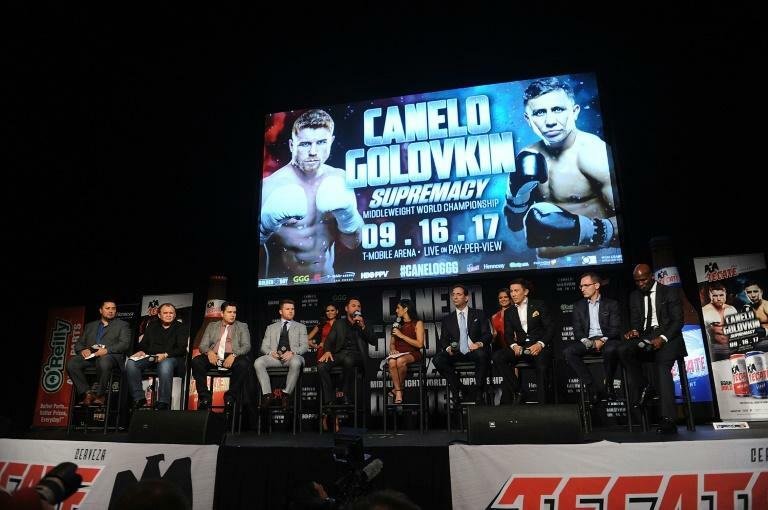 The Golovkin and Alvarez camps are awaiting a formal ruling on the case from the Nevada State Athletic Commission, but the fight is expected to go ahead. Golovkin on Tuesday emphasised that he was willing to climb into the ring with Alvarez regardless of the outcome of the Nevada case. But he pulled no punches in branding Alvarez a dope-cheat, laughing off the Mexican's claims that clenbuterol had entered his system inadvertently. "Forget Mexican meat," Golovkin said. "Come on. I told you. This is not Mexican meat. Ask him. Ask his team, his promotion. Everything. "Canelo's cheating. They're using these drugs and everybody's trying to pretend it's not happening. And you're asking again about meat? There's nothing about meat. Maybe it's Mexican water." Golovkin said he had formed suspicions about Alvarez after last year's bruising 12-rounder in Las Vegas. "I'm a clean athlete. After the first fight I knew he was not clean," Golovkin said. The 35-year-old unbeaten star challenged the Alvarez camp to explain a pill the Mexican appeared to have taken shortly after the televised weigh-in to last year's fight. Footage of one of Alvarez's entourage handing him something which he then ingests with a swig of water has been viewed on Youtube. Alvarez can also be seen appearing to take another pill after the weigh-in of a 2016 fight. "Have a look at the pictures they post when he uses some pills," Golovkin said. "Let him explain what kind of pills they are." Golovkin also claimed to have seen evidence of injections on Alvarez's body. "You should take a look at the photos and ask any doctor," Golovkin said. "Let him explain what they are. And it's better to ask him to use a lie detector. "Then there won't be any silly questions about meat or fruit or chocolate." 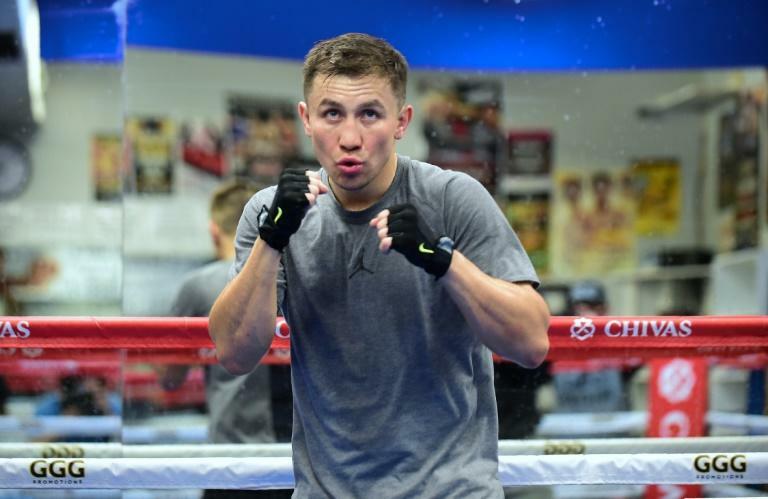 Both Golovkin and Alvarez have submitted to a voluntary doping regime during the build-up to their rematch. Golovkin's trainer, Abel Sanchez, said the Kazakh had been tested six times since entering camp. Sanchez said Golovkin would be sent into May's showdown with the instructions that he was already trailing on the judges cards. "Going to Vegas we are two points down and we are gonna need to win more convincingly or to knock him out," Sanchez said. Golovkin also uncorked a salvo at authorities in Nevada, believing he would be treated differently had he failed a drugs test. "I don't think I would have had the same amount of benefits he has had," Golovkin said. "That's why I would never use any drugs because I know there won't be any preferences to me." And he admitted he was still smarting from the circumstances of his drawn first fight, branding those responsible "terrorists." "I felt like I won the fight. I thought I didn't understand something but then I reviewed the fight. These people are like terrorists," he said. "They're killing sport. It's not about me. People like that should be in prison. People being cheated like that. It's too much. This is America. This is democracy."